One of my favorite family trips was in June 2015 when we all traveled to British Columbia for Sam and Donna’s wedding. The Pacific Northwest is God’s country. It’s wild and beautiful. 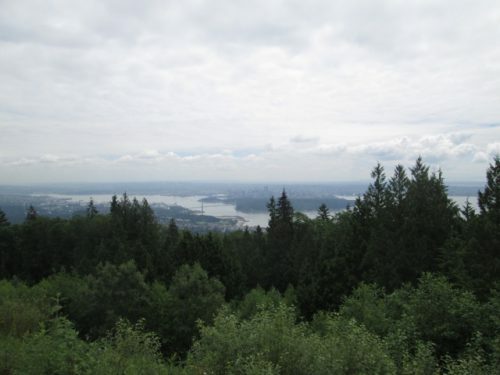 Sam drove us to an amazing vantage point, looking down on the city of Vancouver. It made me feel small and big at the same time. 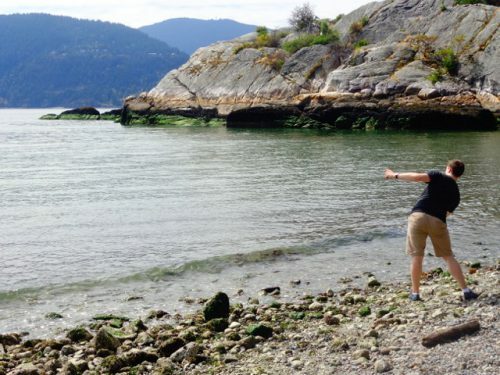 That same day we visited Whytecliff Park where we climbed around on rocks and skipped stones in Horseshoe Bay. My Facebook profile picture is from there that day. Everything about that trip was wonderful. My family was all there. A dear friend joined us. The wedding was beautiful. Since we had to fly out of Seattle, we spent a day there on the tail end of the trip. We walked all around Seattle. Through Pike’s Market. Though the Olympic Sculpture Park. To the Space Needle. 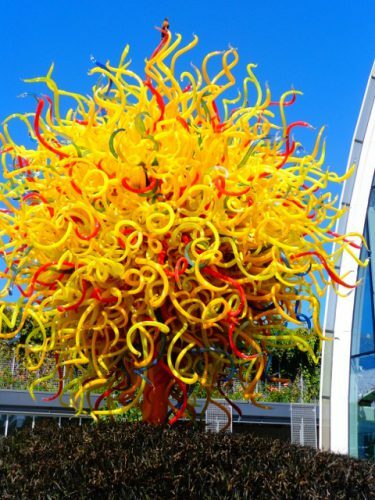 We didn’t go up in the Space Needle, but instead went to Chihuly Garden and Glass Museum which is near the base. 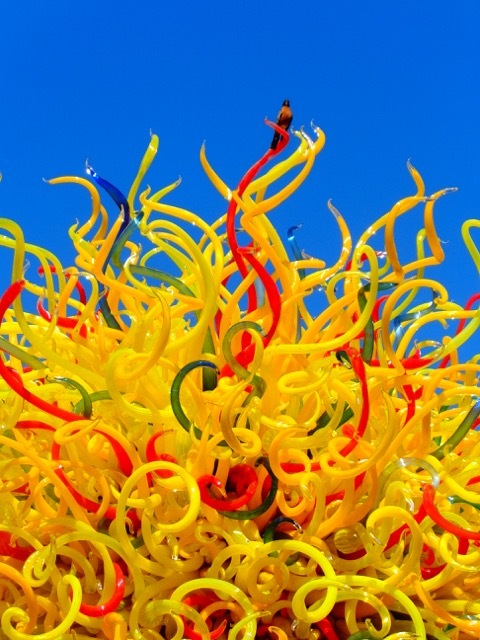 The intermingling of glass sculptures and native plants is stunning. A robin sang its familiar song. I could hear him long before I found him, perched on one of the rays of the sun. I’m sure there’s an object lesson somewhere in that — but I’m not going to try to find it. I don’t ask for the meaning of the song of a bird or the rising of the sun on a misty morning. There they are, and they are beautiful. 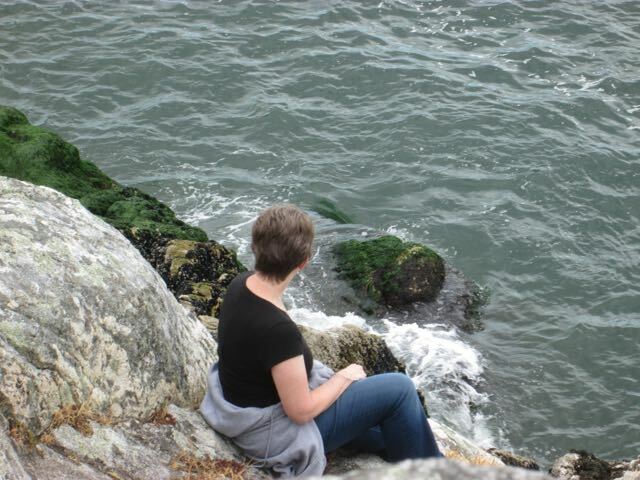 My friend, Renee, tagged me in a photography challenge that involves posting nature photos (taken by me) for seven days. She did it on Facebook, but I’m going to do mine here, starting with far away places and moving closer to home every day. For Day #4, I used pictures from Vancouver, BC and Seattle, WA. I was just under 3000 miles from home! I’m going to tag some of my favorite bloggers to take up the challenge too. If you’re tagged and don’t want to do it, that 110% fine with me. I totally understand. The BC coast is quite a place to see.